Finally, a sunny day for Adelaide this weekend. Honestly, I hate rains and cloudy days which can bring me into depression. On a cool sunny day, my wife and I decided to go shopping for some sea urchins from the Adelaide Showground farmers market for my sushi fix but unfortunately they are out of season now. Instead, I found two products which really pleased us. Okay, one of them is the Berkshire pork belly. So, what are the Berkshire pigs? 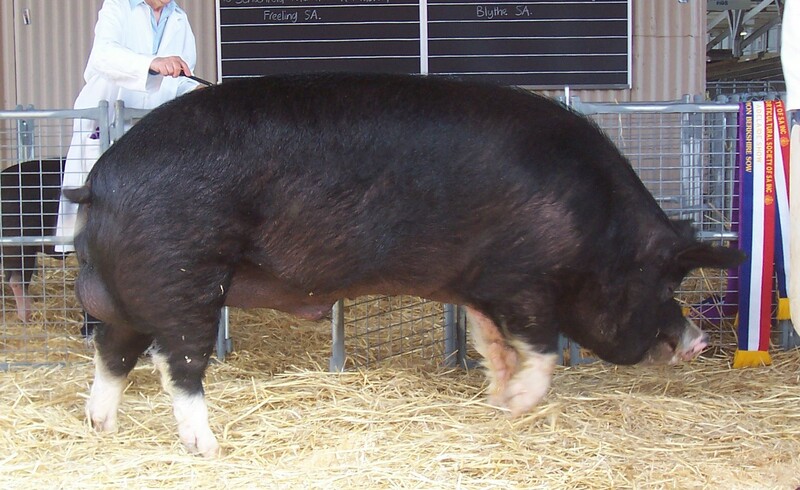 The Berkshire pigs are one of the rarest breeds of pig originated from the Berkshire, England. 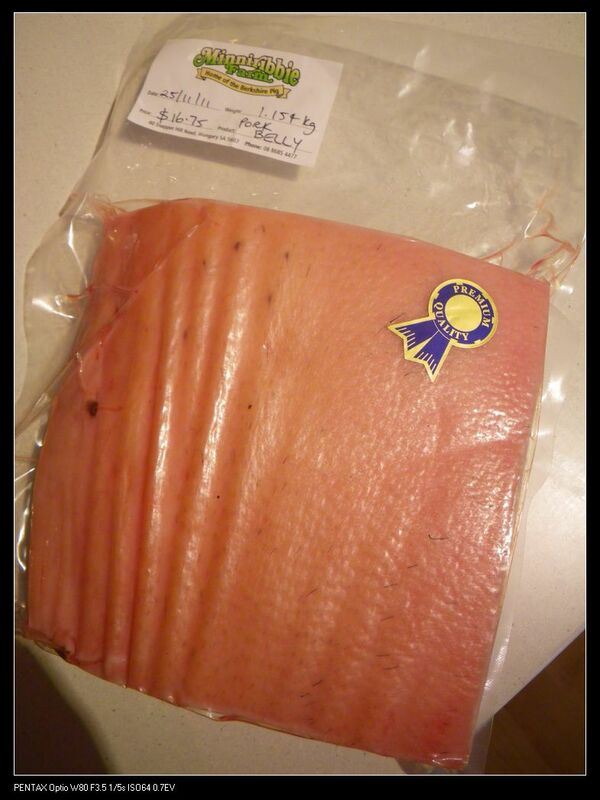 Usually prized for its tenderness and juiciness, the Berkshire pigs has been very popular in Japan and the US. They can be very expensive sometimes compared to normal pork. Although the pigs are black, they have thin pale pink hued underlying skins and pink colored marbled meat. 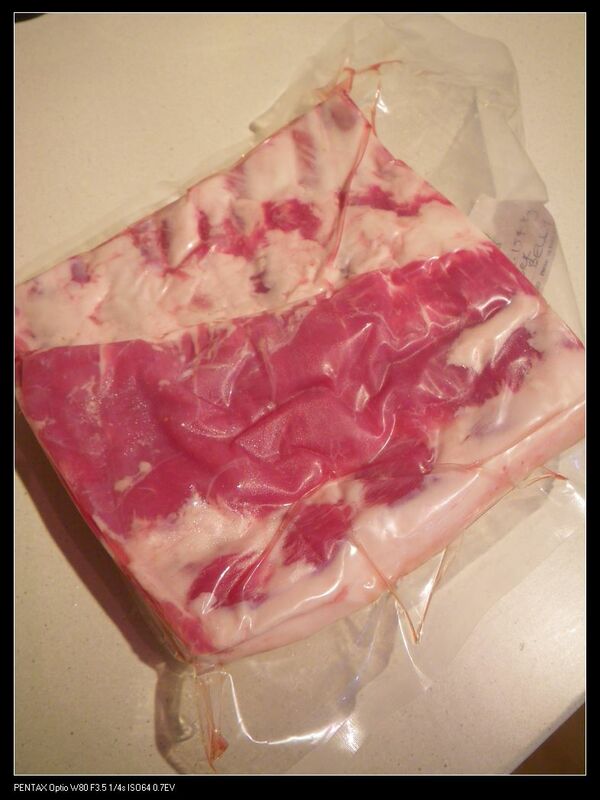 As the pork can be costly, many people would prefer to use normal Australian pork for their roasts etc, but today, I am going to introduce this affordable and tasty Berkshire pork product available right here in South Australia. 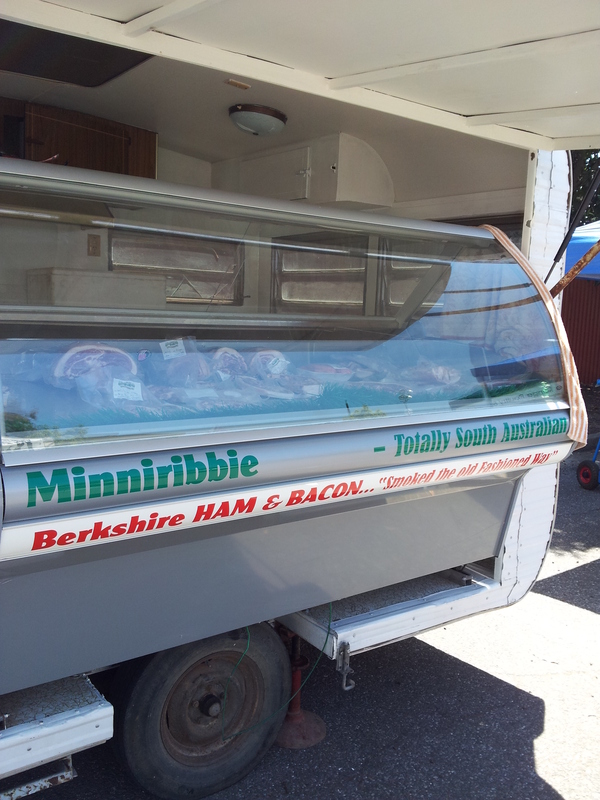 Located in Wangary (very far away from Adelaide :P), the Minniribbie farm specialise in free range Berkshire pork products. As they claimed, their pork are all genuinely free range with no added hormones, antibiotics and chemical growth promoters. In fact, their pork is much tastier and I’ll talk about this later on. 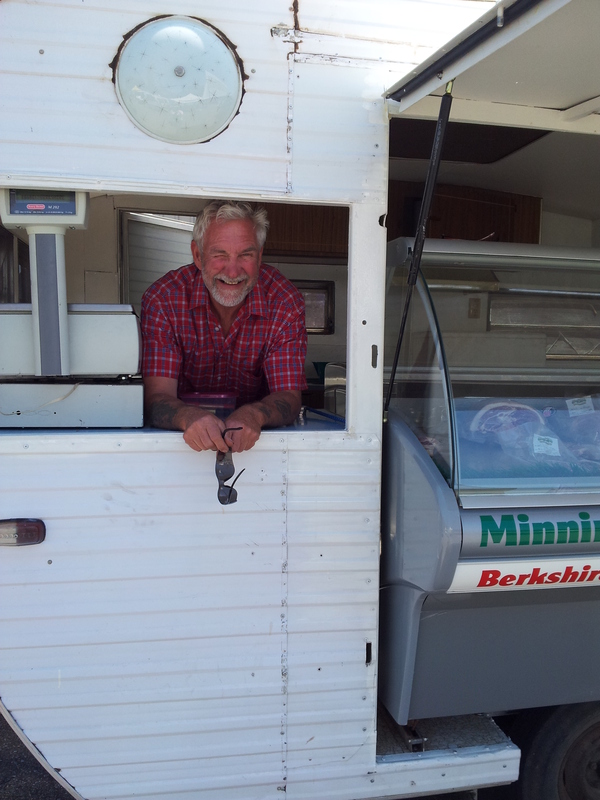 Having been on the TV (channel 7), the owner is very confident about his products, which range from leg roasts, pork belly to pork mince and sausages. 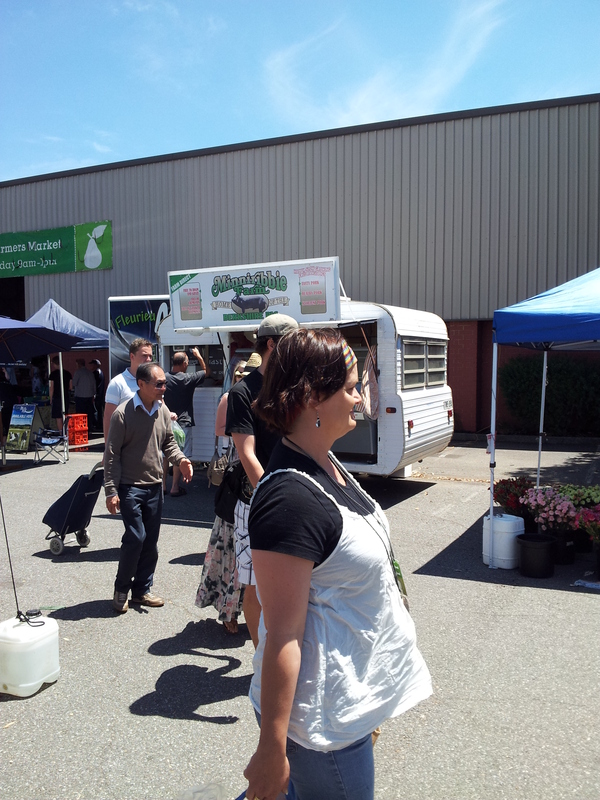 To add a little bit ingredients to our ordinary daily life (^_^), the business come to the RAS market every fortnight. Btw, if you have any chances to go to Wangary, their butcher shop open from 10am to 5pm Monday to Saturday. Now, after the background stuffs, let’s move back onto the quality vs price side of the story. I purchased the 1.154kg of free range pork belly for $16, which is really cheap compared to ones in Central markets and Feast Fine foods. I even did some more maths :D. It is even cheaper than some free range normal pork in Woolworths. The color of the pork was very attractive. However, the downside is that they got plenty of black hairs in the skin which looked a bit disgusting, but the hairs were soon taken out using my professional tweezers :). The skin of the belly was beautifully colored, thin and hard, which is perfect for cracking. The meat, even on first smell, is very nice with a mild aroma. Note here, for some ordinary pork, I can smell some game meaty smell, and this really annoyed me from enjoying pork, but the Berkshire pork smells really aromatic. Nice! 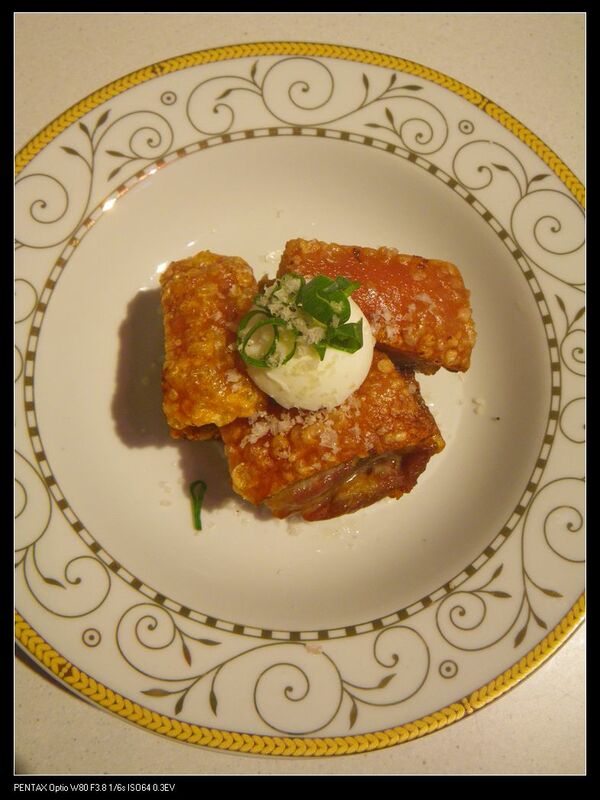 We double roasted the pork belly and accompanied it with 100 day saline cured egg and truffle salt. The pork was beautiful, succulent and flavoursome. The smell was soooooooooooooooooo good and the pork looked attractively golden. The cracking was nice and crispy. Every bite made pleasing and satisfying noises. The top layer fat, which melts immediately in the mouth after each bite, has contributed so much flavour into the bottom meat layers. The bottom meat is very juicy and tender, even after being cooked twice. 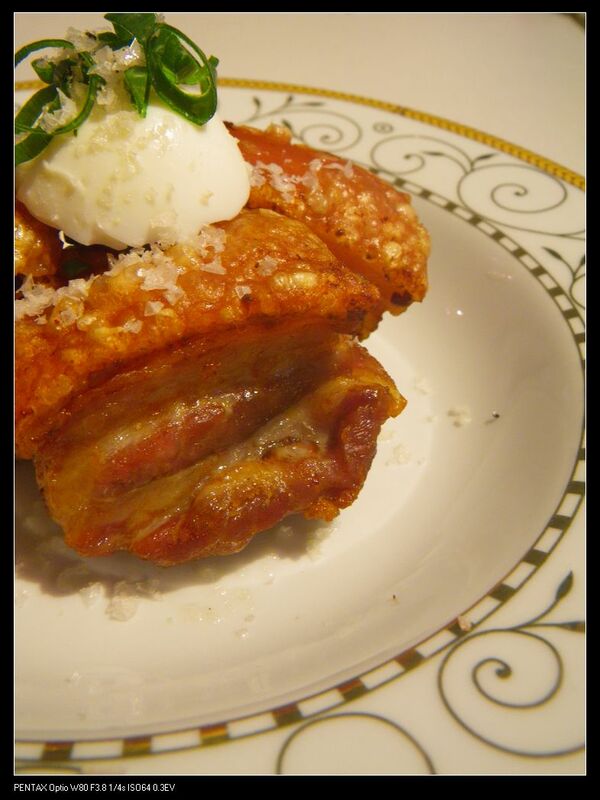 I guess that’s the beauty of Berkshire pork! Then, guys, if you are fancy about some good roasts, try Berkshire pork. You will definitely fall in love with it! Ps: I am using this but it really depends. If you don’t like the big fat layer as my wife does, you can cut it off, but instead of throwing all of them away, you can keep a little bit and render it down to lard. I know lard has health concerns but for Berkshire pork, it’s not as bad as normal pork and can add some flavours to baked potatoes. I had this brand’s pork roast and sausages before. They are absolutely delicious! Btw, like your blog. I love their pork too. Outstanding post, I conceive people should acquire a lot from this web blog its really user genial. So much good information on here :D.
Thanks for the generous comments! I have been to the Pig Cafe on several occasions with family and friends and just love it. The pancakes and bacon are magic. I have been craving this bacon ever since the last trip , so will be making my way to next weeks Farmers market for supplies. You won’t be disappointed. emmm the bacon sounds perfectly delicious for brekkie. will have to try next time I go there. Cooked 3 pieces of Minniribble free range pork belly for Christmas lunch 2014 (did the same last year) and I am now considered a culinary God within the family ! Crackle was apparently super delicious; not that it lasted long enough for me to taste! Without a doubt the best pork I’ve eaten an well worth the 3/4 hour wait (in line at the Adelaide Showgrounds Farmers Market – Sunday 21/12/14). Thanks for all your positive feed back it helps us to keep going with our future plans. All pigs should be free range, would you believe i was a vegetarian before i started to farm pigs. Oh really? That’s a hard decision and move I guess. Your pork is very tasty.